This layout was created using one of the Express Collections. These layouts are ready to drop your photos into. The corporate staff at Close to my Heart has already added the embellishments for you. 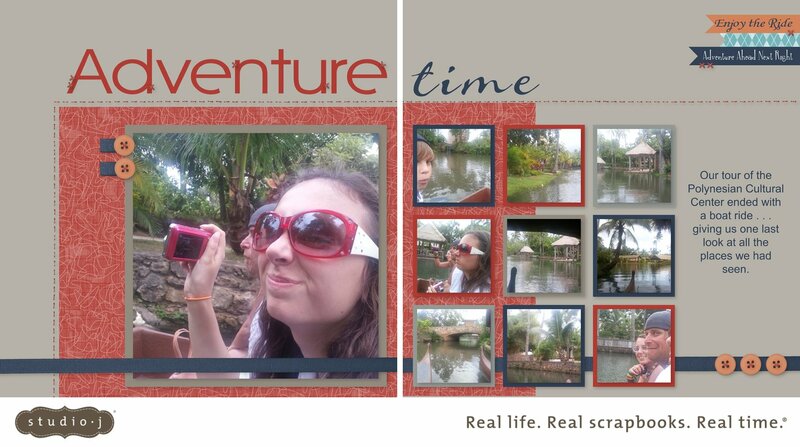 Making this the perfect way to get your fingers wet in the digital scrapbooking way. Although you can't change the basic layout. You are still free to change to colors and make other minor creative adjustments.